I'd only eaten at Kosebasi once before. It was at their Cube branch around the time they'd just opened. We had fallen in love with the food and had walked out on such a food high. 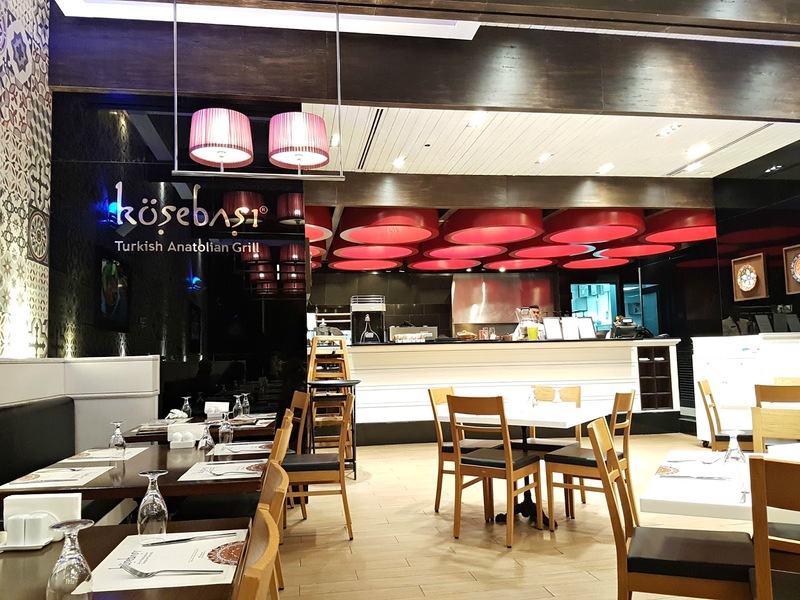 Though we never managed to go back, that meal was something we talked about for years to come and I'd always ALWAYS recommended Kosebasi whenever friends asked for a Turkish restaurant recommendation. A shopping spree last weekend found us near the Kosebasi branch at the Avenues and since we were feeling rather peckish, why decided to give in and treat ourselves to another amazing meal. And why not, we'd enjoyed the food that much the first time around. We more or less ordered the same items again. Hey, I'm a creature of habit and if I find dishes that I love, I tend to order them again and again. 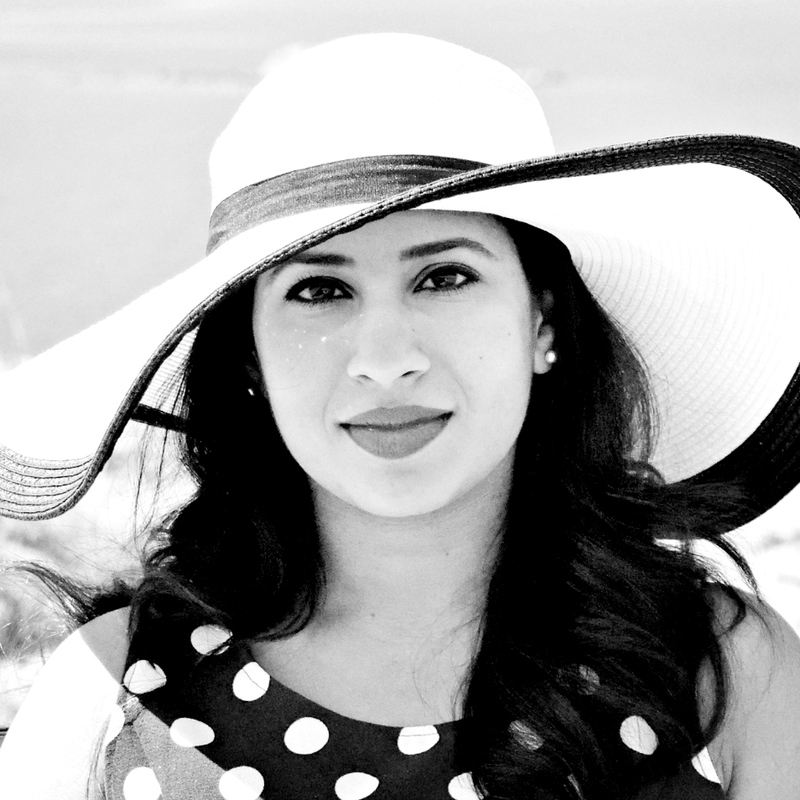 It has come to a point where waiters know my order by heart in restaurants I frequent - Asha's for example (post here!). First up, can we just take a few minutes to admire the bread? It was absolutely delicious and our waitress made sure to keep replenishing our basket. 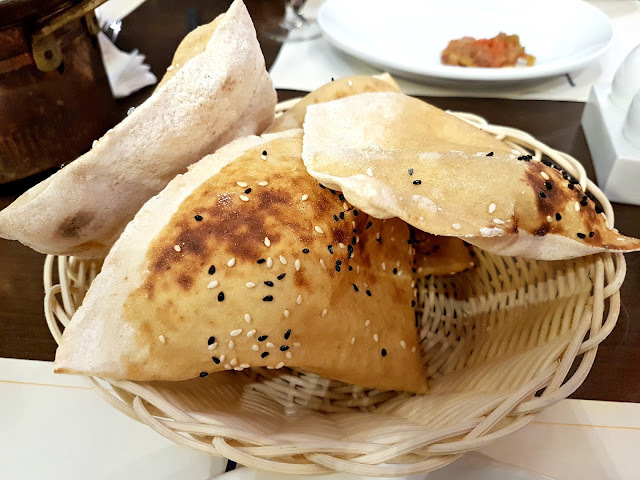 We skipped the starters and went straight to the mains and ordered the Kuzu Sac Tava (KD 3.900 for 1 person, or KD 11.700 for 3-4 people). This was a new dish for me and it was down right delicious! It was basically small pieces of lamb (there's a chicken version on the menu too) in a delicious tomato based gravy that contained lots of garlic (mmmmh!) and capsicum. 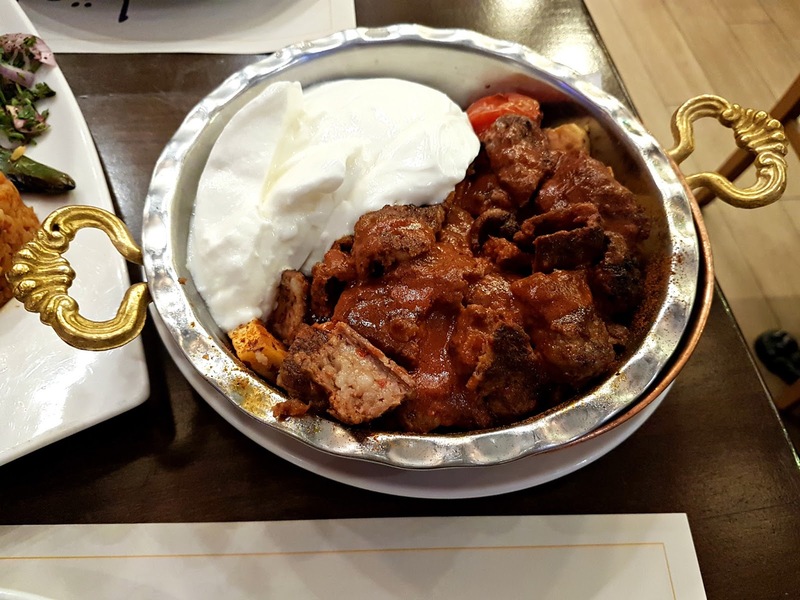 The meat was beautifully marinated in Turkish spices and the dish was well balanced. Loved it! Sac Tava is the copper plate that the dish was served in. My only complaint was that there wasn't enough, yes, it was a portion for just one person, but I would've loved a little more. That was one shallow dish. Scrumptious though and I would definitely reorder! The next two dishes we had ordered last time and had really loved both. So when we were served the below, we were shell-shocked. The Yogurtlu Kebap (KD 4.550 for 1 person, KD 8.900 for 2-3 people) was probably the better of the two. It is basically Kosebasi Kebap with turkish bread on a bed of tomato sauce with thick creamy yoghurt on the side. It wasn't a bad dish, but it just didn't wow us. I just found it to be a little bland. Meh! 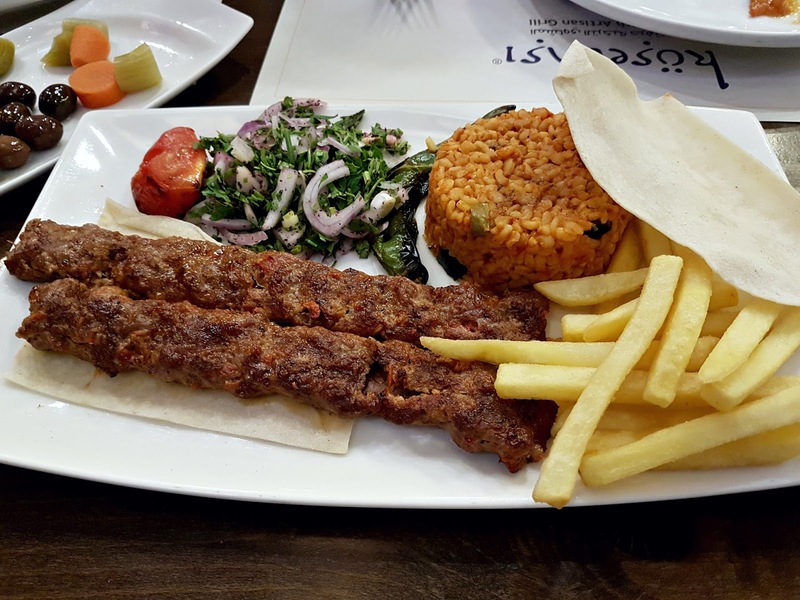 The Kosebasi Kebap (KD 3.850) could be ordered either mild or spicy. We of course ordered the spicy version and were prepared to be blown away like we had the first time round. Unfortunately we were just given two very sad kebabs that just tasted of meat. Not that there's anything wrong with that, I love the taste of mutton, but these definitely needed a little more. Where were the hand ground turkish spices that we had been promised? There was nothing in those kebabs. Definitely a miss. Another dish I'd looked forward to and had been let down. 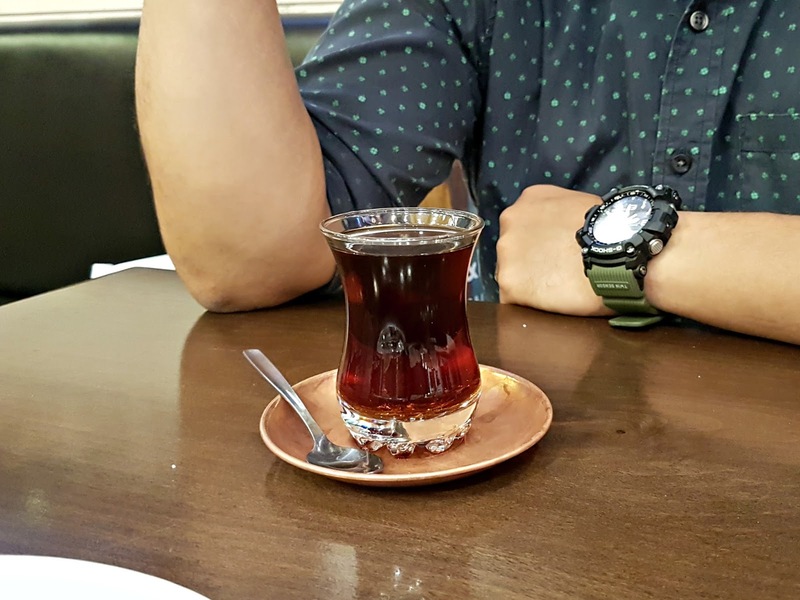 Quite dejected by this time, we ordered dessert and tea to try and bring our spirits back up and chose the Kunefe Kashta (KD 2.500) and it was just what we needed. Crispy on the outside, warm and gooey on the inside and topped with beautifully rich, smooth and creamy kashta cheese. We almost ordered another! Our meal for 2 adults (and 2 children who eat like birds) came up to KD 16.600. We left Kosebasi with heavy hearts. Was it because we'd allowed so long to pass between visits? Had the standard gone down over the past few years? Or was the difference in food because we had visited a different location? Does a different location mean a different chef and perhaps different food? I'm not sure what it was, but the food definitely didn't come up to our expectations. 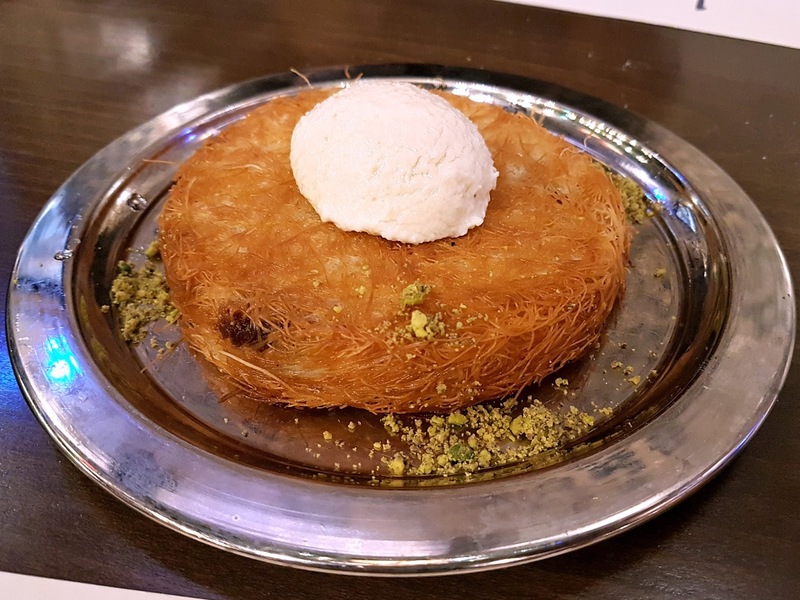 I loved the Kuzu Sac Tava and dessert was a real treat, but would I visit again? Sadly, probably not. Nice post! 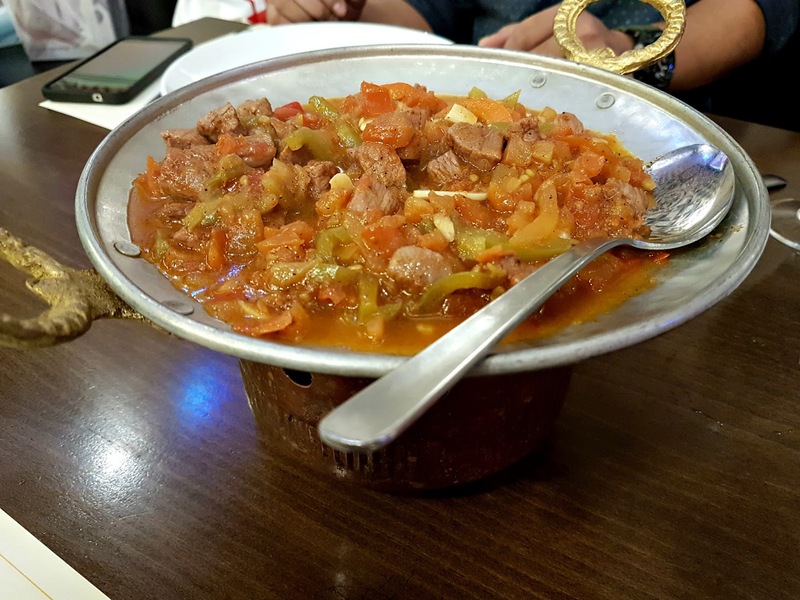 The restaurant's interior and food dishes are looking nice, the Kosebasi Kebap dish is the best one, it's mild and spicy. The Wet Brush is in Kuwait!